*Original story available on WKU News. Please visit https://wkunews.wordpress.com/2015/05/14/icd-workshop-2015/to be taken directly to the story. Ninety-two physicians, coders, practice managers, and faculty learned more about the revisions to the International Classification of Diseases and Related Health Problems on April 29 at the Knicely Conference Center. 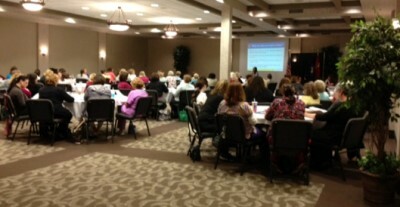 The workshop provided an overview of ICD-10, which is scheduled to start on Oct. 1. The Centers for Medicare and Medicaid, in conjunction with local agencies, are traveling throughout the Commonwealth of Kentucky offering these ICD-10 sessions. To date, the event in Bowling Green has been the largest event throughout the state. The event was sponsored by the WKU Institute for Rural Health, South Central Area Health Education Center, the WKU College of Health and Human Services, Kentucky Office of Rural Health and the University of Kentucky Center of Excellence in Rural Health. Participants were asked if they would be interested in attending a more in-depth workshop, and based on the large response, the South Central AHEC and the Institute for Rural Health will offer two workshops in August. Each workshop will be one day and provide greater detail of ICD-10. One session will focus on hospital use of ICD-10 and the other will focus on the needs of physician offices. Learn more about outreach of the Institute for Rural Health and South Central AHEC by visiting their websites at http://www.wku.edu/irh/ and http://www.wku.edu/scahec/index.php. Ninety-two physicians, coders, practice managers, and faculty learned more about the revisions to the International Classification of Diseases and Related Health Problems on April 29 at the Knicely Conference Center.